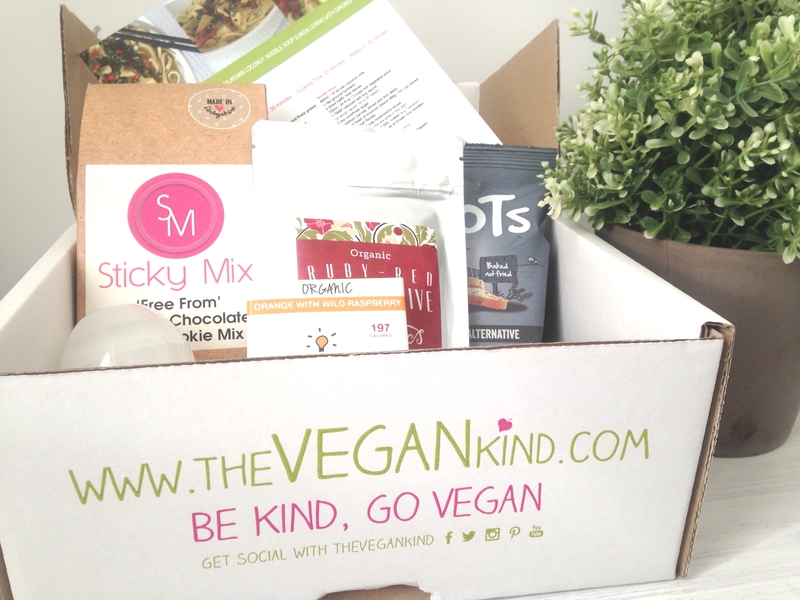 I first came across from The Vegan Kind box from a friend, it always intrigued me even before changing to a vegan diet. Upon taking on Veganuary I decided to research vegan monthly boxes as unsurprisingly it can be difficult to find vegan snacks in supermarkets. After a little search on Google I resorted back to the first box I knew of, The Vegan Kind. I ordered my box a few weeks into January so I was expecting to not receive anything until February, however an email came through saying there were some left over January boxes so I jumped at the chance and signed up for one. My box arrived just a few days later and I was excited to see what it contained. Patch was just as excited as I was to open the box and discover its contents. He had a good rummage around and sat and guarded it. 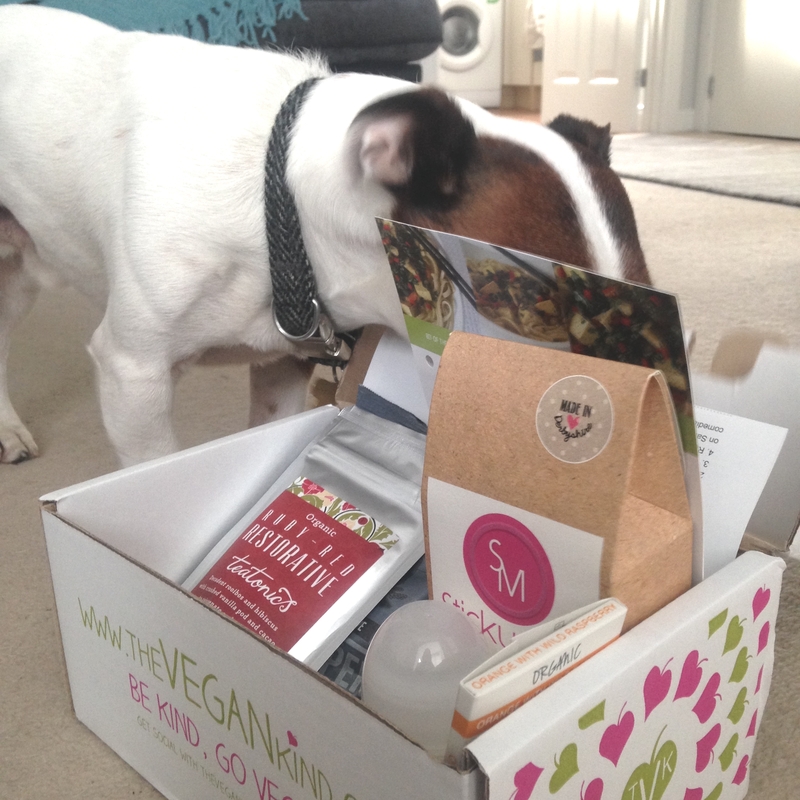 But unlucky for him the contents were far too good to share! Sticky Mix Free From Cookie Mix – These were the first thing I tried. Easy to make and very tasty! What’s not to love about vegan cookies! Teatonics Restorative Tea – I love my herbal teas but I’ve not yet tried this brand so I’m looking forward to giving them a go. This Restorative Tea is made from a blend of red and green rooibos, hisbiscus, cacao, vanilla and licorice which creates a smooth, refreshing and relaxing tea. IQ Orange and Wild Raspberry Chocolate – I’m already a fan of IQ chocolate having tried them last year. This brand of chocolate offers raw to bar chocolate that is packed full of taste and goodness. Hoots Salt & Pepper Multigrain Snack – This was the second snack I enjoyed which was full of flavour! Very peppery! They were very crunchy and flavourful – a great alternative to traditional crisps. Dr Organic Olive Oil Deodorant – I’ve tried Dr Organic’s product before thanks to Holland and Barrett – they always have a fantastic range! I’m definitely interested in seeing what a natural deodorant can do to improve the condition of underarm skin. It will be interesting to see if it can be nourishing yet also offer the same protection that traditional deodorants do. Beond Organic Sour Cherry & Blueberry Bite – These fruity bars seems to be similar to Nakd bar that I know and love! They are full of organic ingredients and seem like a great snack to have in the bottom of your bag. 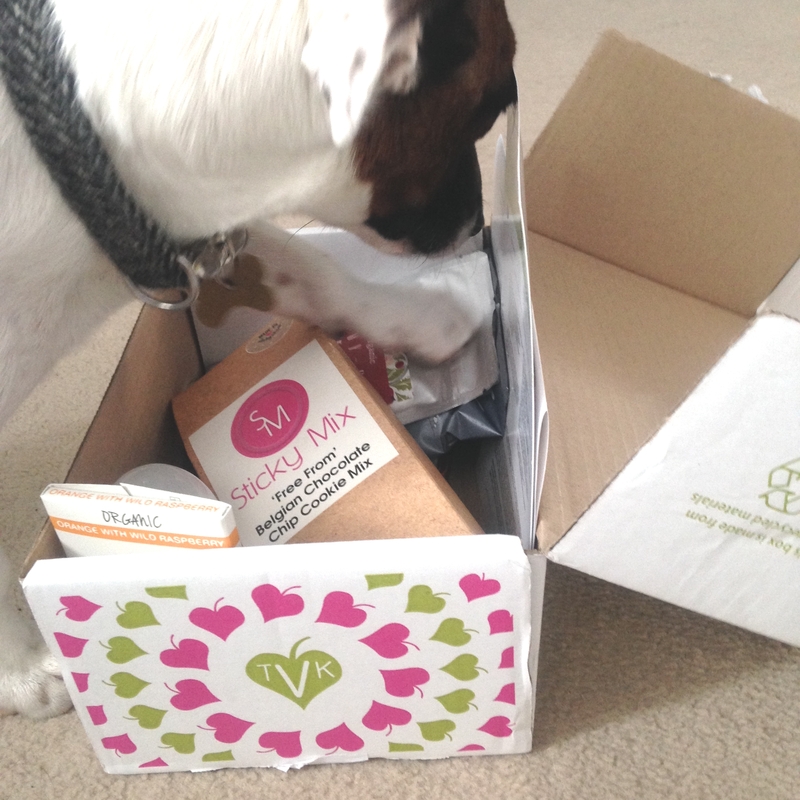 Have you tried any of the products in January’s box before? For some the variety is probably very exciting – but i’d rather get stuff I was going to use!